2017 brought not one but two major platform updates. 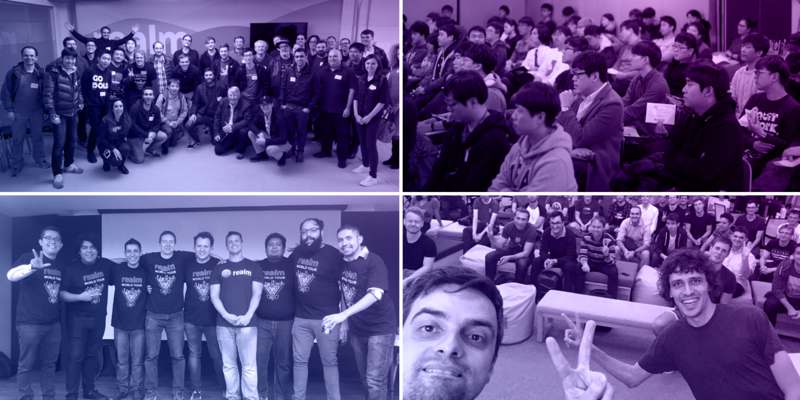 We kicked off the year with 1.0 release and went on tour visiting 40 cities across the globe just in time to launch Realm Platform 2.0. In case you missed us in a city near you, you can watch the replay! We’re gearing up for our 2018 Realm World Tour! Want us to come to your city? Tweet @Realm with hashtag #Realmworldtour and #cityname. Stay tuned to Realm tour news for our 2018 tour dates!